Droiders is an app-developing startup, and today it's launching MedicAR, a piece of Glassware that uses augmented reality to assist students studying to become surgeons. It guides them through certain procedures, showing them where to cut, what tools to use, what to do next, and how to close things back up afterwards. The video below shows it in action, and don't worry, it's not graphic. The app requires the placement of a temporary tattoo on the patient's skin, which the surgeon aims Glass towards. It then displays an image on the screen that guides the wearer through a given surgery. To be clear, the step-by-step instructions are intended to serve as a teaching tool, not as a live guide. This won't help you fix up a friend's bone-headed injuries (or your own), so please don't try. Nevertheless, the app is available at the company's website. 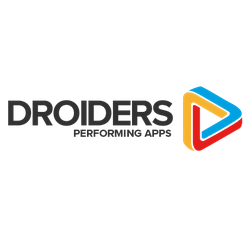 SAN FRANCISCO--(BUSINESS WIRE)--Droiders, an official Google Glass applications development start-up, today launched MedicAR, a new application which combines augmented reality and Google Glass™ to improve the simulation and teaching of certain procedures in surgery and patient care. The MedicAR application also represents a potential new aid to improve safety issues in surgical interventions, especially for common procedures among junior surgeons and even for uncommon ones among experts. The MedicAR application requires a target to be temporarily tattooed on the patient’s skin. The surgeon and his assistant then direct their Glass to the target, which reveals the augmented reality on their screen, showing all aspects of a given surgery. Afterwards, procedures are clearly displayed step by step. For example, it could start by displaying the skin incision, the use of retractors to provide adequate exposure of the area, the core surgical treatment and finally the closure of the incision. “The project we are revealing today was the next logical step in our collaborative efforts with Dr. Rivas. We teamed up last summer to perform a transatlantic live-streamed operation through Glass, a first in telemedicine at the time, using our own streaming solution. Shortly after, we were among the very first Glass developers to introduce augmented reality into its Glassware” explained Julián Beltrán, founder of Droiders. Droiders’ MedicAR application for Glass uses Qualcomm® Vuforia™, a software platform that enables apps to see and connect digital experiences to physical products.